Sunny and picturesque Lisbon has much to offer the cultural explorer, and the luxury five-star Corinthia Hotel Lisbon is making a city getaway more attractive with its Suite Lisbon special offer. Guests will be picked up at the airport (and dropped off on departure), luxuriate in one of the hotel’s stunning suites filled with Champagne, truffles and white roses, have a change of clothing pressed for free and receive Euros 40 ( approximately 44.93 US Dollar) credit towards an ESPA treatment in the hotel’s lavish Spa, and another Euros 40 credit (approximately 44.94 US Dollar) redeemable in Tipico, the hotel’s restaurant serving a fusion of innovative Portuguese, contemporary Mediterranean and international cuisine. Tipico is one of four restaurants and bars to dine and imbibe in. 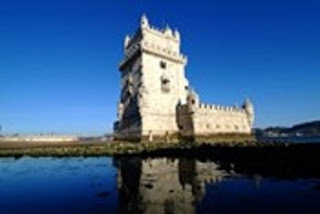 The Suite Lisbon package starts from Euros 220 (approximately 247.09 US Dollar) per room per night. The hotel’s suites are spacious, open plan rooms with breathtaking views of the city and perfect for longer stays. King-size beds, floor-to-ceiling windows, LCD HD TVs, complimentary Wi-Fi, and tea and coffee-making facilities make it a home-from-home. Corinthia Hotel Lisbon is located a short distance from the city’s sights and landmarks, the latest to open being the Museu de Arts, Arquitetura e Tecnologia (the Museum of Art, Architecture & Technology, or MAAT for short), located along the banks of the Tagus River in the Belem district. Opened last October, it spans two buildings and showcases contemporary culture through visual arts, new media, architecture, technology and science. MAAT is part of an exciting urban revitalization program along Lisbon’s historic waterfront. Some Euros 33.7m (approximately 37.9m US Dollar) of upgrades and additions will transform Lisbon’s tourism infrastructure over the next three years including the opening in 2019 of a Jewish Museum in the medieval quarter of Alfama. 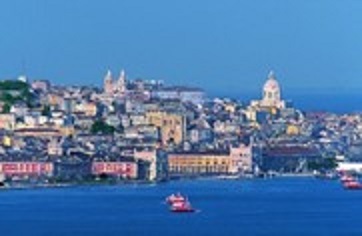 The other projects include upgrading the Ajuda National Palace, an Interpretation Center for the vast April 25 suspension bridge, a new Sul e Sueste boat terminal in the center of the city, a center dedicated to the maritime Discoveries at a location yet to be decided, improved signage for tourists, CCTV at popular tourist sites, an expanded events program and protection of historic shops. Tourists visiting Lisbon today still have plenty of diversions. They include the April 25 suspension bridge, Europe’s longest bridge; the magnificent Jeronimos Monastery, the resting place of explorer Vasco da Gama and a UNESCO World Heritage site; the ornate Belem watchtower, another UNESCO World Heritage site; St George’s Castle; Alfama, Lisbon’s medieval, village-like neighborhood; the private art collection at the Calouste Gulbenkian Musuem and the modern art collections inside the Berardo Museum; the museum inside the lavishly decorated Madre de Deus Convent and the gold-encrusted chapel inside Sao Roque Church. The five-star Corinthia Hotel Lisbon offers 518 rooms, including 24 Executive Suites, 1 Ambassador Suite and 1 Presidential Suite, and state-of-the-art facilities. Boasting stunning views over the eighteenth-century Aqueduct and the beautiful Monsanto Natural Park, Corinthia Lisbon exudes the Portuguese Spirit of Discovery. The hotels’ Sete Colinas and Típico restaurants offer the best of Portuguese cooking, using seasonal produce to create traditional dishes, contemporary Mediterranean and International cuisines, while the Terrace Lounge offers al fresco dining and lounging. Offering harmony and tranquility, THE SPA at the hotel is spread over a generous 3,500 square metres and features 13 treatment rooms, a cutting-edge gym, heated indoor swimming pool, plus exceptional heat and sensory experiences.